If you have very swollen or bandaged feet, you may find that high-street wide fitting boots just aren’t roomy enough. Designed for when no other boots will fit, Cosyfeet have developed a men’s and women’s extra roomy boot made from Elastane, a soft, stretchy material which is ideal for fitting swelling, bunions and problem toes. Patty for women and Patrick for men are the ultimate problem solver. These boots are lightweight yet supportive and open right out so they’re easy to get on and off a swollen foot. They have two touch-fastening straps which can be adjusted to fit swelling and a seam-free toe area which is ideal for sore or sensitive toes. 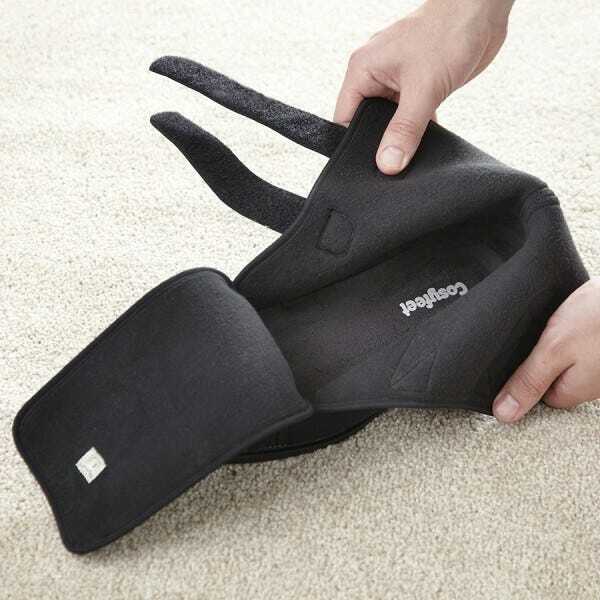 The stretchy Elastane is coated with Teflon® fabric protector so they’re stain and water resistant. The boots also have a removable insole so it’s easy to insert your own orthotic.